This is the first article of the "Big Data Processing with Apache Spark” series. Please see also: Part 2: Spark SQL, Part 3: Spark Streaming, Part 4: Spark Machine Learning, Part 5 Spark ML Data Pipelines, Part 6 Graph Data Analytics with Spark GraphX. First of all, Spark gives us a comprehensive, unified framework to manage big data processing requirements with a variety of data sets that are diverse in nature (text data, graph data etc) as well as the source of data (batch v. real-time streaming data). Spark enables applications in Hadoop clusters to run up to 100 times faster in memory and 10 times faster even when running on disk. Spark lets you quickly write applications in Java, Scala, or Python. It comes with a built-in set of over 80 high-level operators. And you can use it interactively to query data within the shell. In this first installment of Apache Spark article series, we'll look at what Spark is, how it compares with a typical MapReduce solution and how it provides a complete suite of tools for big data processing. Hadoop as a big data processing technology has been around for 10 years and has proven to be the solution of choice for processing large data sets. MapReduce is a great solution for one-pass computations, but not very efficient for use cases that require multi-pass computations and algorithms. Each step in the data processing workflow has one Map phase and one Reduce phase and you'll need to convert any use case into MapReduce pattern to leverage this solution. The Job output data between each step has to be stored in the distributed file system before the next step can begin. Hence, this approach tends to be slow due to replication & disk storage. Also, Hadoop solutions typically include clusters that are hard to set up and manage. It also requires the integration of several tools for different big data use cases (like Mahout for Machine Learning and Storm for streaming data processing). If you wanted to do something complicated, you would have to string together a series of MapReduce jobs and execute them in sequence. Each of those jobs was high-latency, and none could start until the previous job had finished completely. Spark takes MapReduce to the next level with less expensive shuffles in the data processing. With capabilities like in-memory data storage and near real-time processing, the performance can be several times faster than other big data technologies. Spark also supports lazy evaluation of big data queries, which helps with optimization of the steps in data processing workflows. It provides a higher level API to improve developer productivity and a consistent architect model for big data solutions. Spark holds intermediate results in memory rather than writing them to disk which is very useful especially when you need to work on the same dataset multiple times. It’s designed to be an execution engine that works both in-memory and on-disk. Spark operators perform external operations when data does not fit in memory. Spark can be used for processing datasets that larger than the aggregate memory in a cluster. Spark will attempt to store as much as data in memory and then will spill to disk. It can store part of a data set in memory and the remaining data on the disk. You have to look at your data and use cases to assess the memory requirements. With this in-memory data storage, Spark comes with performance advantage. Spark Streaming can be used for processing the real-time streaming data. This is based on micro batch style of computing and processing. It uses the DStream which is basically a series of RDDs, to process the real-time data. Spark SQL provides the capability to expose the Spark datasets over JDBC API and allow running the SQL like queries on Spark data using traditional BI and visualization tools. Spark SQL allows the users to ETL their data from different formats it’s currently in (like JSON, Parquet, a Database), transform it, and expose it for ad-hoc querying. GraphX is the new (alpha) Spark API for graphs and graph-parallel computation. At a high level, GraphX extends the Spark RDD by introducing the Resilient Distributed Property Graph: a directed multi-graph with properties attached to each vertex and edge. To support graph computation, GraphX exposes a set of fundamental operators (e.g., subgraph, joinVertices, and aggregateMessages) as well as an optimized variant of the Pregel API. In addition, GraphX includes a growing collection of graph algorithms and builders to simplify graph analytics tasks. BlinkDB is an approximate query engine and can be used for running interactive SQL queries on large volumes of data. It allows users to trade-off query accuracy for response time. It works on large data sets by running queries on data samples and presenting results annotated with meaningful error bars. Tachyon is a memory-centric distributed file system enabling reliable file sharing at memory-speed across cluster frameworks, such as Spark and MapReduce. It caches working set files in memory, thereby avoiding going to disk to load datasets that are frequently read. This enables different jobs/queries and frameworks to access cached files at memory speed. And there are also integration adapters with other products like Cassandra (Spark Cassandra Connector) and R (SparkR). With Cassandra Connector, you can use Spark to access data stored in a Cassandra database and perform data analytics on that data. Following diagram (Figure 1) shows how these different libraries in Spark ecosystem are related to each other. We'll explore these libraries in future articles in this series. Spark uses HDFS file system for data storage purposes. It works with any Hadoop compatible data source including HDFS, HBase, Cassandra, etc. The API provides the application developers to create Spark based applications using a standard API interface. Spark provides API for Scala, Java, and Python programming languages. Following are the website links for the Spark API for each of these languages. Spark can be deployed as a Stand-alone server or it can be on a distributed computing framework like Mesos or YARN. 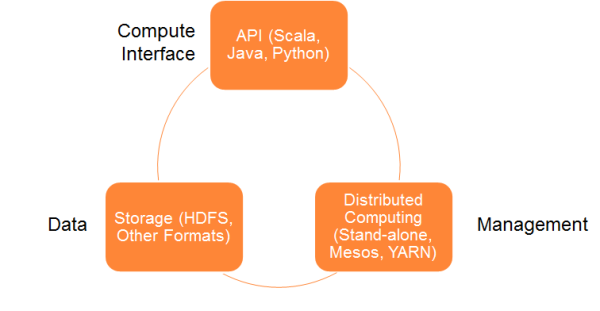 Figure 2 below shows these components of Spark architecture model. Resilient Distributed Dataset (based on Matei’s research paper) or RDD is the core concept in Spark framework. Think about RDD as a table in a database. It can hold any type of data. Spark stores data in RDD on different partitions. They help with rearranging the computations and optimizing the data processing. They are also fault tolerance because an RDD know how to recreate and recompute the datasets. Transformation: Transformations don't return a single value, they return a new RDD. Nothing gets evaluated when you call a Transformation function, it just takes an RDD and return a new RDD. Some of the Transformation functions are map, filter, flatMap, groupByKey, reduceByKey, aggregateByKey, pipe, and coalesce. Some of the Action operations are reduce, collect, count, first, take, countByKey, and foreach. There are few different to install and use Spark. You can install it on your machine as a stand-alone framework or use one of Spark Virtual Machine (VM) images available from vendors like Cloudera, HortonWorks, or MapR. Or you can also use Spark installed and configured in the cloud (like Databricks Cloud). In this article, we’ll install Spark as a stand-alone framework and launch it locally. Spark 1.2.0 version was released recently. We’ll use this version for sample application code demonstration. When you install Spark on the local machine or use a Cloud based installation, there are few different modes you can connect to Spark engine. The following table shows the Master URL parameter for the different modes of running Spark. Once Spark is up and running, you can connect to it using the Spark shell for interactive data analysis. Spark Shell is available in both Scala and Python languages. Java doesn’t support an interactive shell yet, so this feature is currently not available in Java. You use the commands spark-shell.cmd and pyspark.cmd to run Spark Shell using Scala and Python respectively. Spark Console is shown in Figure 3 below with tabs for Stages, Storage, Environment, and Executors. Spark provides two types of shared variables to make it efficient to run the Spark programs in a cluster. These are Broadcast Variables and Accumulators. Broadcast Variables: Broadcast variables allow to keep read-only variable cached on each machine instead of sending a copy of it with tasks. They can be used to give the nodes in the cluster copies of large input datasets more efficiently. Following code snippet shows how to use the broadcast variables. Accumulators: Accumulators are only added using an associative operation and can therefore be efficiently supported in parallel. They can be used to implement counters (as in MapReduce) or sums. 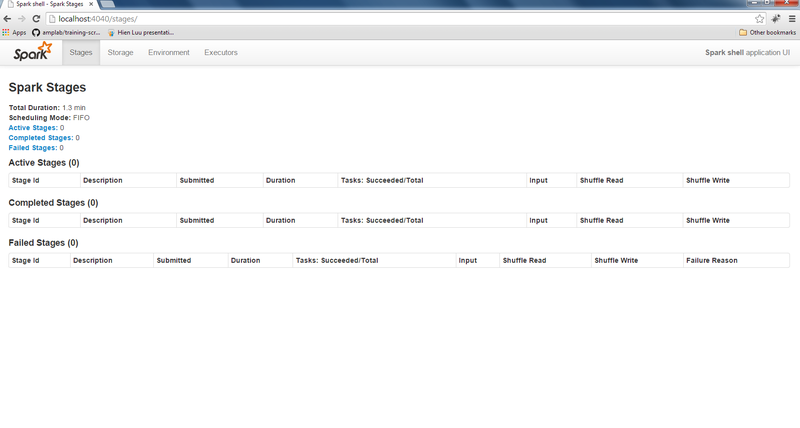 Tasks running on the cluster can add to an accumulator variable using the add method. However, they cannot read its value. Only the driver program can read the accumulator's value. 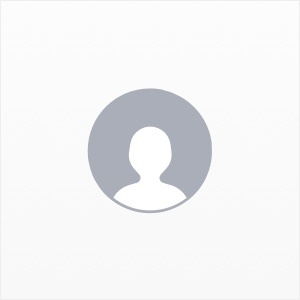 The sample application I cover in this article is a simple Word Count application. This is the same example one would cover when they are learning Big Data processing with Hadoop. We’ll perform some data analytics queries on a text file. The text file and the data set in this example are small, but same Spark queries can be used for large size data sets, without any modifications in the code. To keep the discussion simple, we’ll use the Spark Scala Shell. First, let’s look at how to install Spark on your local machine. You will need Java Development Kit (JDK) installed for Spark to work locally. This is covered in Step 1 below. You will also need to install Spark software on your laptop. The instructions on how to do this are covered in the Step 2 below. Note: These instructions are for Windows environment. If you are using a different operating system environment, you'll need to modify the system variables and directory paths to match your environment. 1) Download JDK from Oracle website. JDK version 1.7 is recommended. Install JDK in a directory name without spaces. For Windows users, install JDK in a folder like c:\dev, not in "c:\Program Files". "Program Files" directory has a space in the name and this causes problems when software is installed in this folder. NOTE: DO NOT INSTALL JDK or Spark Software (described in Step 2) in "c:\Program Files" directory. If JDK is installed correctly, the above command would display the Java version. Download the latest Spark version from Spark website. Latest version at the time of publication of this article is Spark 1.2. 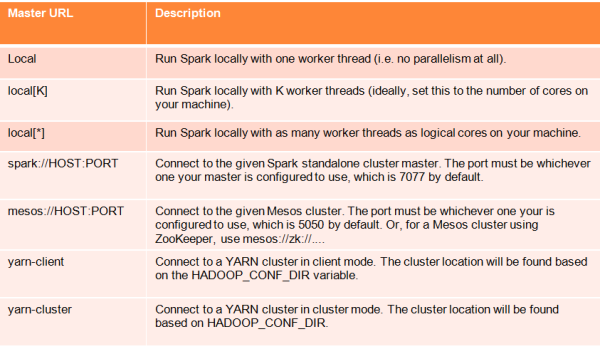 You can choose a specific Spark installation depending on the Hadoop version. I downloaded Spark for Hadoop 2.4 or later, and the file name is spark-1.2.0-bin-hadoop2.4.tgz. Unzip the installation file to a local directory (For example, c:\dev). To verify Spark installation, navigate to spark directory and launch Spark Shell using the following commands. This is for Windows. If you are using Linux or Mac OS, please edit the commands to work on your OS. 15/01/17 23:17:46 INFO Utils: Successfully started service 'HTTP class server' on port 58132. 15/01/17 23:17:53 INFO SparkILoop: Created spark context..
You can type the following commands to check if Spark Shell is working correctly. To launch Spark Python Shell, you need to have Python installed on your machine. You can download and install Anaconda which is a free Python distribution and includes several popular Python packages for science, math, engineering, and data analysis. In the future articles of this series, we'll learn more about other parts of Spark ecosytem starting with Spark SQL. Later, we'll look at Spark Streaming, Spark MLlib, and Spark GraphX. We'll also look at the upcoming frameworks like Tachyon and BlinkDB. In this article, we looked at how Apache Spark framework helps with big data processing and analytics with its standard API. We also looked at how Spark compares with traditional MapReduce implementation like Apache Hadoop. Spark is based on the same HDFS file storage system as Hadoop, so you can use Spark and MapReduce together if you already have significant investment and infrastructure setup with Hadoop. You can also combine the Spark processing with Spark SQL, Machine Learning and Spark Streaming as we’ll see in a future article. With several integrations and adapters on Spark, you can combine other technologies with Spark. An example of this is to use Spark, Kafka, and Apache Cassandra together where Kafka can be used for the streaming data coming in, Spark to do the computation, and finally Cassandra NoSQL database to store the computation result data. But keep in mind, Spark is a less mature ecosystem and needs further improvements in areas like security and integration with BI tools. Excellent article, but what are "the several advantages" of using Spark rather than Storm? How far this is adopted or implemented? Any major player is using currently? appreciate the quick, concise and efficient introduction on spark. Create an Spark Application using Python and read a file and count number of times words will occur the file and also ignore all empty lines. "Spark has several advantages compared to other big data and MapReduce technologies like Hadoop and Storm"
PS: link for part 4 need to be fixed. Thank you for drawing our attention to this problem. It is now fixed. Enjoy reading!